The Arts at Clarke series features performers, lecturers, musicians, dancers, poets and writers from across the country and around the world. We have hosted such talents as Thompson Square, Maya Angelou, Andy Grammer, Javier Colon, Dr. Drew Pinsky, and Step Afrika! We pride ourselves in attracting top professional talent to both teach and perform. Major programs of study are available in art, graphic design, music, and music education. 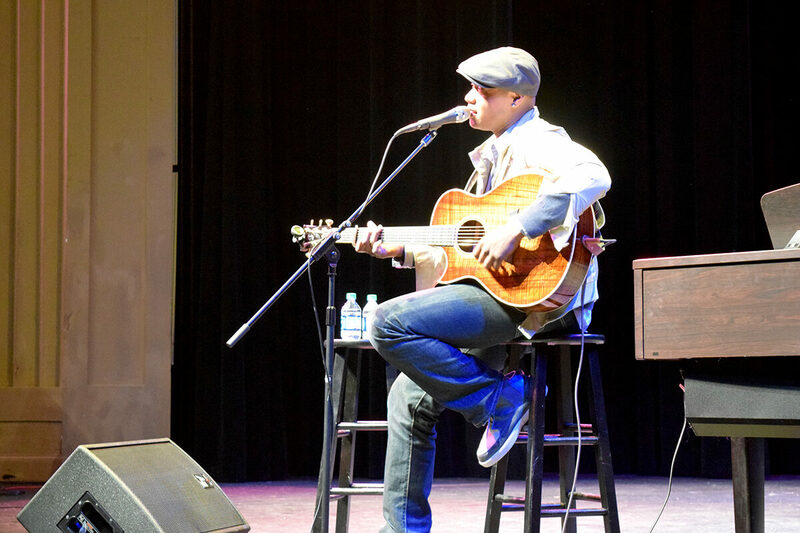 Javier Colon, The Voice Season One winner, performs at Clarke. Events requiring advanced tickets are noted. Reservations for events will be held once payment is received. No refunds are available. For drama events, group tickets for 10 or more are available for $5 each. Doors generally open 30 minutes prior to performances, unless noted otherwise. Admission to all drama department events begins 45 minutes prior to curtain. Seats for all events are general admission. Times and dates are subject to change.